Wine, a finger buffet and many prizes to be won. Much more than just a Wine and cheese evening. All the fun of the fair. 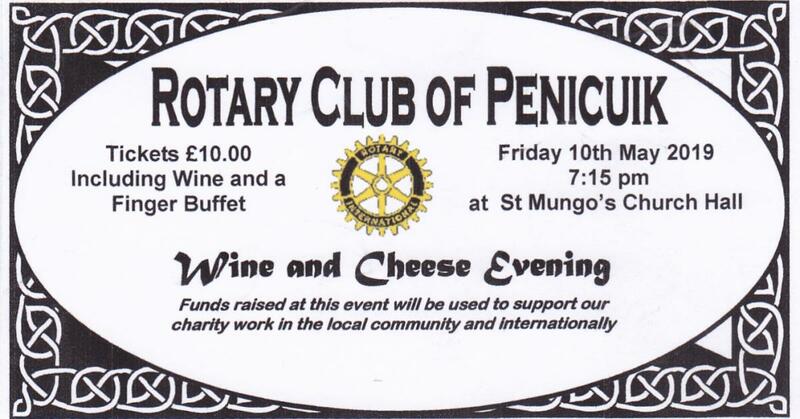 Our next public event will be a Wine and Cheese evening in St Mungo’s Church Hall on 10th May. This is much more than just a Cheese and Wine! Tickets cost £10 for this tremendous evening of fun, prizes, delicious savouries and wine. This event is a major fundraiser for the club and an opportunity for you to meet us and catch up with people you may not have seen for a while. To obtain tickets or find out more, speak to any club member or call 01968 673493.